Le’s take a break from the norm and try getting down and dirty in a new enviorment; somewhere alien, yet still familiar. 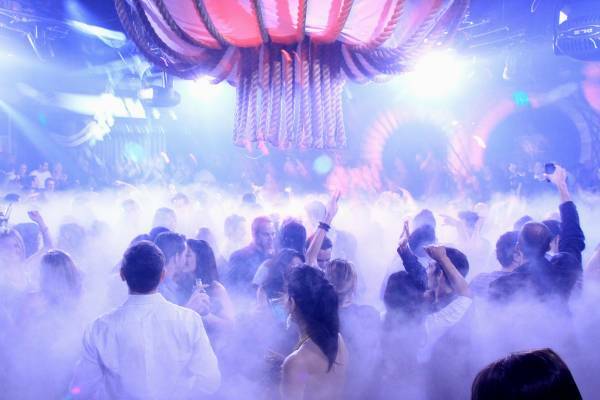 If you grow tired of hitting up the same clubs every weekend or feel limited by the (although diverse) scene in la la land, from Hollywood, Downtown, and on the Westside, then you can undoubtedly appreciate an LA Vacay. Come on a road trip with me as I travel a short 2 hours down the I-5 to San Diego. What excites me most about San Diego, and what I’m certain most Angelinos can appreciate, is that anywhere you want to go is during the course of a night is a short stroll away. The Gaslamp district is mashed up with Downtown, which is all adjacent to the beach, as well as any major hotels. Saving on multiple parking and cab fares is a definite bonus if you have several destinations. 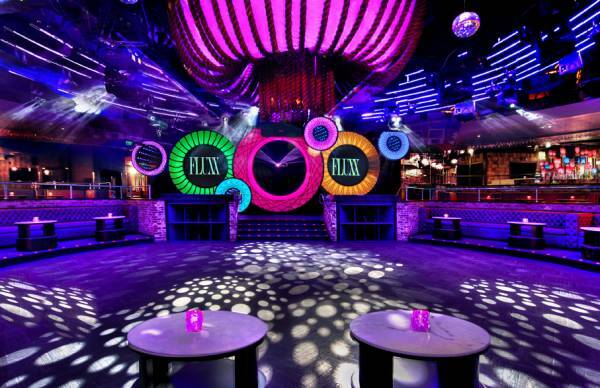 Let’s start with the designer FLUXX, a hot Hollywood-esque club with an expansive dance floor and surrounding bottle service. 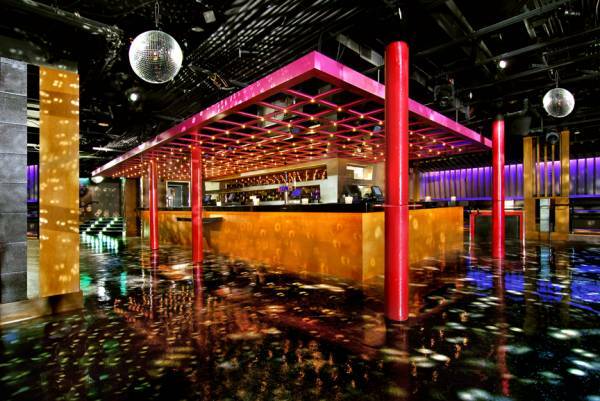 Notably the VIP and bottle service areas are not segregated from the rest for the club, whether you fancy that or not, instead they line the sunken floor. There are three bars here, so getting drinks is never a problem, especially when they are priced slightly above average. Although FLUXX is known for booking some quality brand acts, such as the EC Twins, the DJ performing opening while we were there sounded more like a pop radio station than anything else. 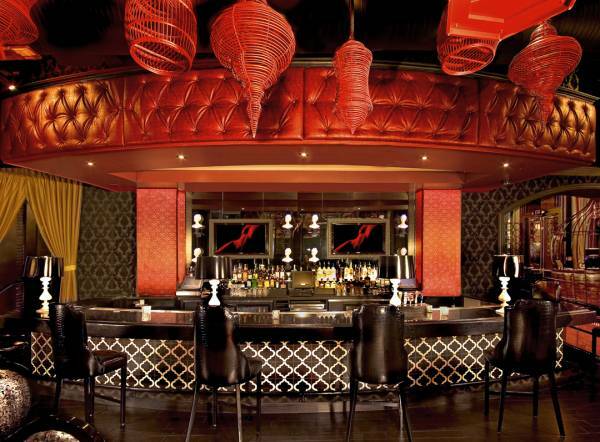 Still, this trendy hot-spot is a good time – before it becomes overcrowded in the later hours. A short stroll away is Side Bar, a near cleverly named watering hole with several central bars, cheap(ish) drinks, and go-go dancers going at it from elevated platforms. The DJ here was on fire, getting every pair of feet within the venue moving. With only a ten dollar cover, Side Bar is a great destination to get your money’s worth. The entertainment here contributes to a overall fun atmosphere while patrons lack the pretentious Hollywood ego found in most LA clubs. Sidebar - A real gem. Lastly, we make out way over to F6ix, a spanking new club celebrating their inception into the Gaslamp society. Boasting a large dance floor, segregated smoking patio, and elevated VIP, F6ix is by far the most diverse of the three clubs we visited. While catering to a trendier, hip-hop crowd (DJ played primarily Top 40) the people in attendance seemed more laid back and easy going. Maybe it was the inexpensive bottle service, maybe it was the slew of go-go dancers, maybe it was the extra space everyone had to dance despite the venue being packed full, but pretty people seemed to genuinely enjoy themselves. In closing, if you fancy a weekend getaway, look no further than our neighbors to the south (Not Mexico). The gorgeous beaches of San Diego make for a day of relaxation while the adjacent Gaslamp District gives way to a night full of adventure. Go on, you’ve earned it.